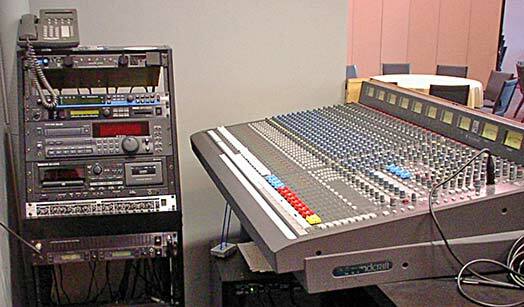 The multitude of speakers shown in this photograph are actually three separate systems. 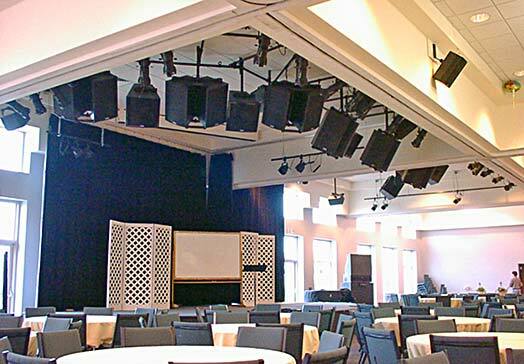 The Fellowship Hall is designed to be divided into different configurations using sliding walls that also divide the stage area. The system can be used as three separate systems, one large system, or any combination of the three by turning off/on certain speakers.